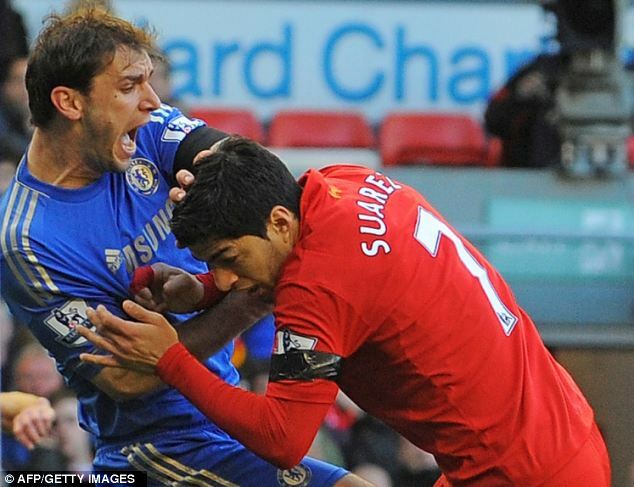 Uruguayan international and Liverpool striker Luis Suarez could return to competitive action in the first week of July despite picking up a ten-match ban for biting Chelsea's Branislav Ivanovic and he has Liverpool's fair play this season to thank for it. If they do qualify, Brendan Rodgers' men would have to play six competitive qualification games before the season starts, and Suarez would be eligible for all of them. This would still mean Suarez would be banned for the first six domestic games of next season, but it could see the disgraced star playing nine competitive games if Liverpool progress to the group stage before he is eligible for a return to Premier League action. The book was thrown at the 26-year-old by the FA for his savage attack on Ivanovic in Sunday's 2-2 draw at Anfield, but the ban will not affect Liverpool's placing in the Premier League fair play table, where they are second. Only cards issued on the pitch are taken into consideration in the fair play standings, with retrospective disciplinary action ignored. UEFA will offer a place in next season's Europa League competition to the top ranking club from each of the top three fairest European leagues. England are currently fourth behind Norway, Sweden and Finland in the overall rankings, but have a month to make up the difference. Liverpool are second behind Arsenal in the Premier League fair play table, but with the Gunners looking set to finish in fifth place at the very least, Brendan Rodgers' men would take the qualification place. His side have 49 yellow cards and two reds this season, given to Daniel Agger and Jonjo Shelvey earlier in the campaign, but the fair play table also takes into account positive play, respect towards opponents and the referee and behaviour of team officials and public. The only downside to qualifying for the competition through the fair play route is that Liverpool would start their competitive season on July 4 for the first leg of the first qualifying round. This means Suarez could be involved in nine competitive games before his domestic ban is lifted, meaning the Merseyside club's influential goalscorer will not struggle to gain match fitness for his return to top-flight football. 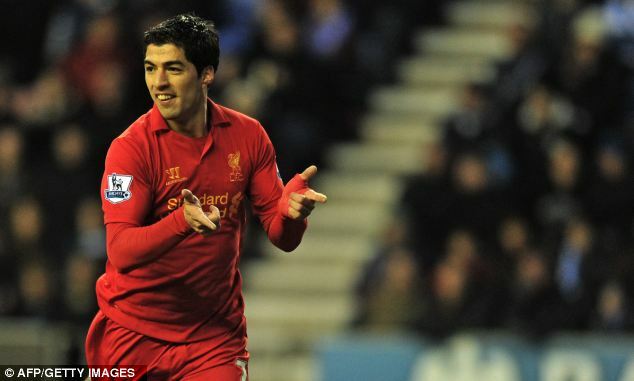 Suarez had accepted the FA charge of violent conduct but claimed his ban should be three games, the standard punishment for violent conduct, but the striker is a repeat offender. Liverpool, who have until midday on Friday to appeal, said they were "shocked and disappointed" at the length of the suspension. The ban covers their final four games of this season and the first six games of next season, meaning Suarez may not play again in domestic competition until October.